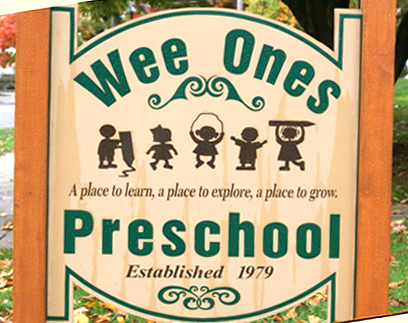 Wee Ones opened in 1979 as a child care center. In 1982 it became a preschool. Program Director/Lead Teach Carrie Mason has been with the program since 1991. Wee Ones provides classes for children ages 3 - 5. It is licensed through the State of Michigan. For more information about the program, visit the Wee Ones website.